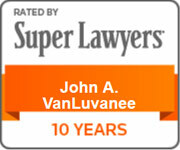 John A. VanLuvanee - Eastburn & Gray, P.C. John VanLuvanee focuses his practice in the areas of land use, zoning and real estate. 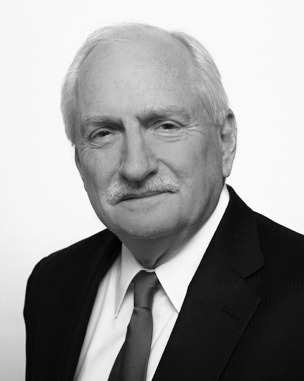 He has been representing clients in zoning, subdivision and land development, and real estate transactional matters for more than 40 years. Mr. VanLuvanee’s clients include national, regional and local builders and developers. With his many years of experience, Mr. VanLuvanee is able to recommend a course of action to his clients designed to obtain their objectives without unnecessary delay. During his career, he has been involved in many significant, precedent-setting land use cases decided by the Commonwealth Court and Pennsylvania Supreme Court. During the land development process, he works closely with his clients and their land planners, engineers, and environmental consultants to obtain plan approvals and land use permits. In that process, he regularly appears before planning commissions, governing bodies of municipalities and zoning hearing boards. He has also represented clients before the Environmental Hearing Board and administrative agencies. In addition to work on subdivision and land development matters, Mr. VanLuvanee represents his clients in the acquisition and sale of real estate, including financing. He has also prepared and filed many requests for amendments to zoning ordinances, substantive challenges to the validity of zoning ordinances, and procedural challenges to the validity of zoning ordinances on behalf of his clients. In addition to representing private clients, Mr. VanLuvanee has served as counsel to the Home Builders Association of Bucks/Montgomery Counties for more than 30 years. In 1999, he was one of the first recipients of the Home Builders Association "Hall of Fame Award" presented for outstanding contributions to the housing industry. He is an active member of the Legal Action Task Force and Judicial Task Force of the Pennsylvania Builders Association. In addition, he is a member of the Legal Action Network for Development Strategies (LANDS) sponsored by the National Association of Home Builders. As a result of his work in the land use area, Mr. VanLuvanee was named one of Bucks County’s ten most influential power brokers by The Intelligencer in 2000. Bucks County Bar Association and Pennsylvania Bar Association. Mr. VanLuvanee is admitted to the Supreme Court of Pennsylvania, United States District Court for the Eastern District of Pennsylvania, United States Court of Appeals for the Third Circuit, and the Supreme Court of the United States. Mr. VanLuvanee received his J.D. University of Michigan School of Law, 1972 and B.A. from Kalamazoo College, 1969. Selected for inclusion in Real Estate/Land Use law by Chambers USA: America’s Leading Lawyers for Business, 2014 - present. Selected by peers for inclusion in Pennsylvania Super Lawyers magazine, 2008 – present. Selected by peers for inclusion in The Best Lawyers in America® in the field of Land Use and Zoning law, 2007 – present. Named the Best Lawyers in America® Lawyer of the Year for Land Use and Zoning Law in the Philadelphia area, 2014 and 2018. Named a "Top Attorney" by DelVal Media, Publishers of Suburban Life Magazine and Philadelphia Life Magazine, 2013 - present.